Talk of an Apple iPad Pro is nothing new, but a new image supposedly showing a dummy model of Apple's oversized iPad has now appeared online for the first time. 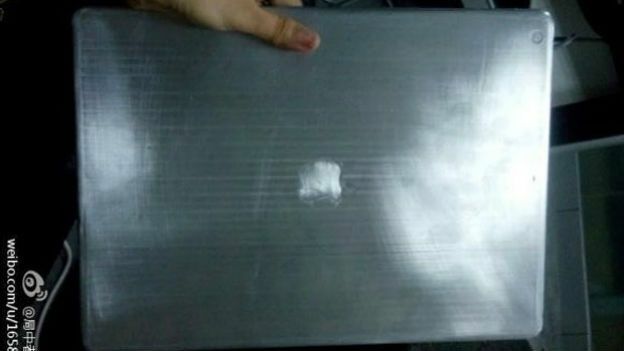 No specs or details were released alongside the picture, which appeared on Chinese social network Weibo, but previous rumours have suggested a 12.5-inch form factor. Possibly to compete with the likes of the Samsung Galaxy Note Pro. Without leaning too heavily on the authencticy of the shot, dummy models are produced by manufacturers in advance of production units in order to give third-party manufacturers a chance to develop accessories ready for launch. Supposed dummy models of the iPhone 6 were also snapped and leaked online last week. No official word has come from Apple regarding the future of the iPad line-up and, although WWDC is only a couple of weeks away, the Cupertino-company is likey to keep quiet until the autumn. Apple will be having a busy September and October with refreshed versions of the iPad Air, iPad Mini 2 likely to arrive alongside the rumoured iPhone 6, iWatch and iPad Pro. Best get saving.